This national dialogue was held on the backdrop of 2017’s 16 Days of Activism against Gender Based Violence; an international campaign that runs in November and December every year to tackle violence against women and girls. Equality Now, in concert with other organisations, convened the national dialogue to converse on the need to create safe spaces for children. 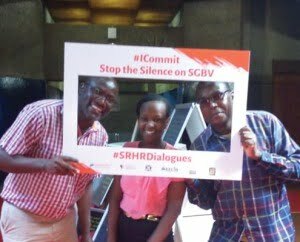 The event, held at the Kenyatta International Convention Centre on December 7 2018, also sought to give a voice to children who had had sexual and gender based violence perpetrated on them by their primary caregivers including parents, guardians, close relatives and teachers. This in the form of an art gallery titled 25 conversations in 25 schools in Africa. Our staff, included the Managing Director, attended some of the proceedings in solidarity with the event as we had been tasked with developing the branding material and art gallery. We also reiterated our support against sexual and gender based violence in all its forms. The event, bringing together various stakeholders to pledge their support to this cause, was a resounding success.